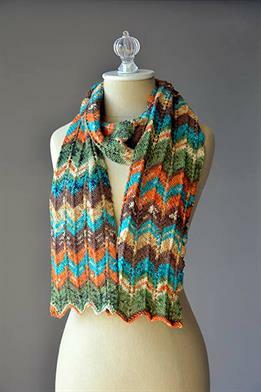 This design is available for free from the Universal Yarns website. 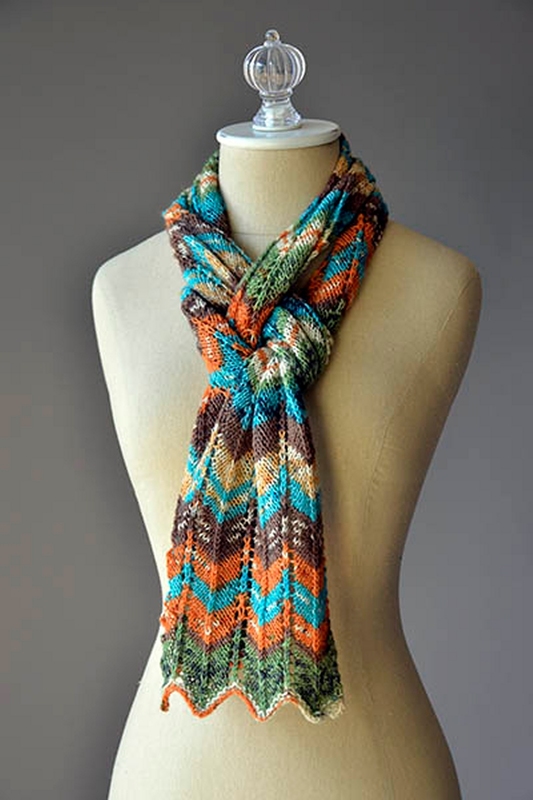 Knit an entire scarf with just one ball of Pix! 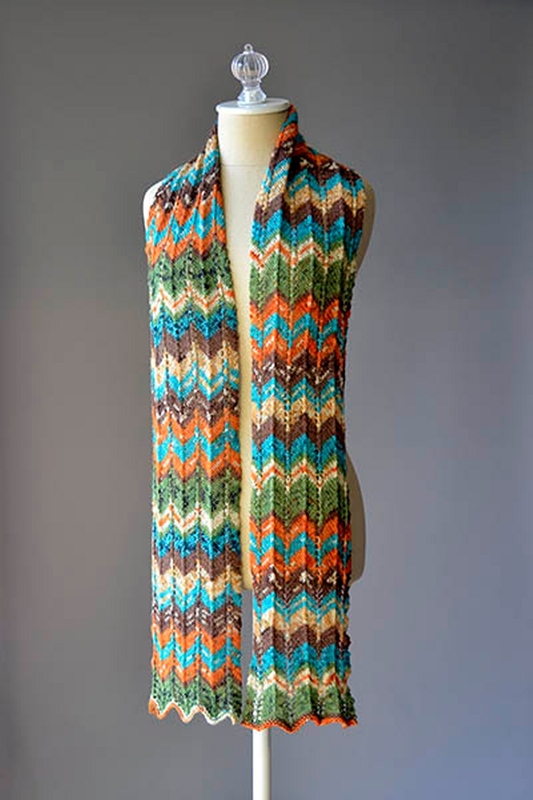 Combine the yarns self-striping magic a classic chevron pattern, and you have a luxurious and striking scarf. 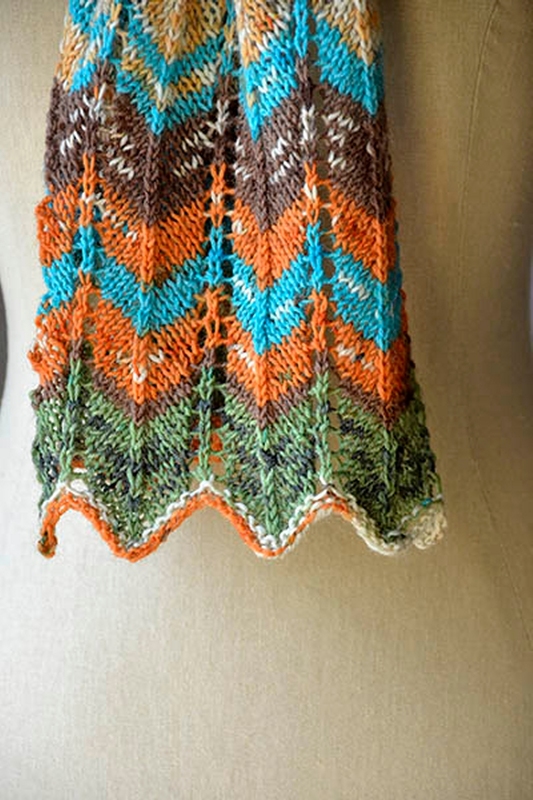 This design is available for free from the Universal Yarns website. Remember to download the pattern by following the link provided on this page, as it will not be shipped with the yarn. Size US 5 needles are required but not included. Finished Size: 7 by 72"
Gauge: 26 sts x 25 rows = 4" in Chevron patt. Color shown is 105 Street Art.